AURORA Skycam, who specialise in streaming and filmed content of the Aurora Borealis (Northern Lights) were given the privilege of being the first company in the world to use the new ME20F-SH camera to produce stunningly detailed low-light footage of one of the world’s most spectacular natural phenomena. This entry was posted in Cameras, News and tagged Northern Lights, Low-Light Footage, Canon ME20F-SH, Cameras, Canon on 22nd September 2015 by Visuals. The ARRI AMIRA has a lot of cinematographers excited due to the superb image quality, legendary design toughness and of course, single operator ergonomics. Predominantly geared towards single user operation, ARRI had the documentary filmmaker, corporate shooters and ENG camera professional in mind when they designed the AMIRA. This entry was posted in Cameras, News and tagged ARRI Alexa MINI SUP 2.6, Alexa MINI, Cameras, ARRI Alexa MINI, Arri Amira, ARRI on 17th August 2015 by Visuals. At InfoComm 2015, Panasonic has previewed the professional video industry's first integrated 4K pan/tilt/zoom camera, the AW-UE70. The AW-UE70 delivers UltraHD 3840 x 2160 resolution images at 29.97p/25p via HDMI, and is also capable of 4K IP streaming and in-camera 4K recording. This entry was posted in Cameras and tagged 4K PTZ Camera, Panasonic AW-UE70, Cameras, Panasonic on 18th June 2015 by Visuals. Sony has today announced the HXR‐NX100, the latest addition to its NXCAM range of professional camcorders with high technology and cost performance. Sony has combined stunning picture quality, easy operability and a wide selection of recording formats into a device that supports multiple choices for a range of professional applications, from events to documentaries. This entry was posted in Cameras, News and tagged Sony HXR-NX100, Sony NX100, Cameras, Sony on 3rd June 2015 by Visuals. 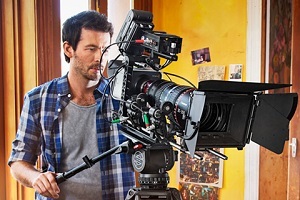 Earlier today, Blackmagic Design released their latest firmware update 2.4, which mostly affects the Blackmagic Production Camera 4K, by adding frame guides (already present on the Cinema camera and Pocket) in addition to an update install camera utility, and the much awaited Dashboard bypass. 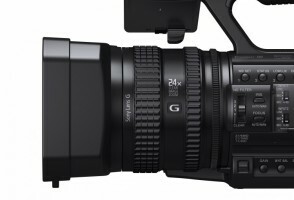 This entry was posted in Cameras, News and tagged Blackmagic Production Camera 4K, Camera Utility 2.4, Firmware Update, Cameras, Blackmagic Design on 1st June 2015 by Visuals.